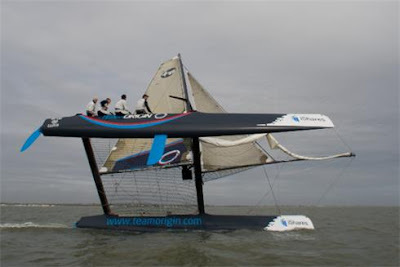 Earlier this year TEAMORIGIN purchased their Extreme 40 catamaran and are busy testing on the Solent prior to challenging with the likes of BMW Oracle and Alinghi in the iShares Cup programme. 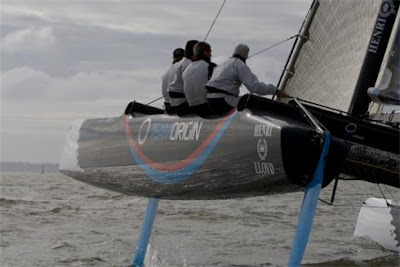 TEAMORIGIN’s entry will be skippered by Robert Greenhalgh (strategist / traveller on the Cup team), who last year skippered Team Basilica, the 2007 iShares Cup X40 Champion. Other TEAMORIGIN members joining Rob are his brother, Peter Greenhalgh (GBR) as mainsheet trimmer /tactician, Julian Cressant (FRA) as trimmer, Matt Cornwell (GBR) as bowman and Mike Heffer (NZL) as shore support.